Many people wish to improve the look of their rooms or apartments. 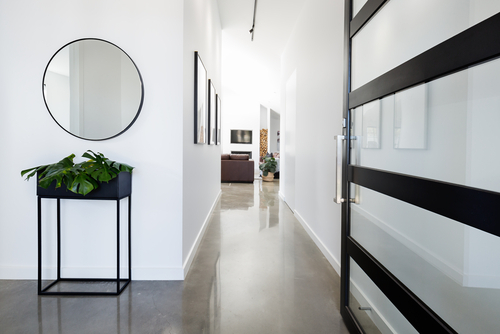 It is possible for you to improve the appearance of your condo with any of the available flooring options depending on your taste. 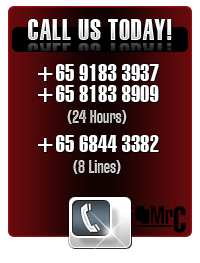 They come along with numerous merits and have been of help to many Singaporean people. 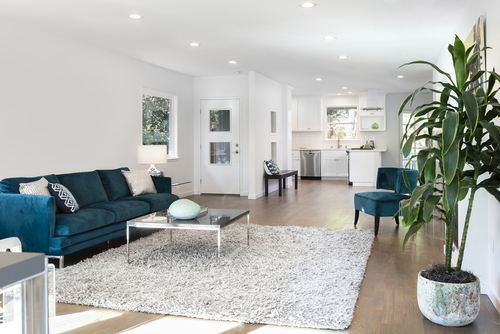 Before choosing a flooring option, you need to weigh their advantages and disadvantages keenly. Below are some of the available flooring options in Singapore. This is the most uncomplicated flooring option available. There are no skills or knowledge required to set up a carpet. • Comfort: Your body tends to be sore after spending some time on concrete and ceramic tiles. This is the same case when dealing with hard surfaces. On the other hand, carpets have a shock absorbing ability for your footprints and enables you to walk comfortably.in addition, it also feels nice to sit and lay on the carpet. • Warmth: Carpet ensures that your room is insulated. This helps you to save on the costs incurred in warming a home, for example, using electricity or natural gas. • Quiet: Sounds tend to bounce off the walls and create an echo in the room. Soft surfaces such as carpet help absorb the sound as compared to hard surfaces. • Cost: While installing hard floor surfaces, certain sub-floor requirements must be met. This raises their installation cost. On the other hand, carpets dismiss these concerns since it can be installed on a wide variety of floors. Therefore, carpets are generally more cost-effective than hard surface flooring. • Maintenance: Depending on your lifestyle, carpets require frequent cleaning and vacuuming. • Sensitive: Carpets are sensitive flooring materials. They easily draw in dust and dirt. • Allergies: Carpets are vulnerable to allergens such as mould and dust mites. Therefore, if a member of your family has an allergy or respiratory issue, it is advisable not to use carpets as a flooring material. • Longevity: Most carpets are manufactured synthetically. This makes them have a shorter lifespan than other flooring options. This is a multi-layer synthetic flooring product fused together with a lamination process. • Cost: Laminate flooring saves on your wallet since it is way less than half the price of hardwood and is relatively cheaper than the price of the carpet. Also, it has minimal running costs since it lasts for a long time. • Resistivity: Unlike hardwood, marble or carpet, laminate flooring is immune to stains or scratches and does not fade when exposed to sunlight. • Easy installation: No special glues are needed to install it since it is a snap. In addition, the subfloor is not a concern since the flooring does not need to be nailed down. There is a wide variety of laminate flooring textures to choose from than merely wood. The wide range of the laminate flooring textures is not restricted by price since it is generally cheap. • Health: Laminate flooring benefits people with allergies or other respiratory illnesses since it does not absorb dust like carpet. It forms an airtight system thus restricting moisture from getting into the room. layer of the flooring. Therefore, in order to improve the lifespan of the flooring material, it is advisable to restrict the entry of dogs in rooms where there is laminate flooring. Instead, you may install the laminate flooring in rooms where dogs are out of reach. • Minimal resistance to moisture: It is not advisable to set up laminate flooring in a room that has high moisture since the flooring must be replaced when the moisture reaches the HDF core-board. This is a recommended and sustainable flooring option available to all. Cork flooring has recently become well-known. • Long lasting: Cork flooring is immune to abrasion and cracking.in addition, it is impervious to liquids and gas. Cork flooring bounces back. Therefore, indentures created by the furniture will finally 'heal'. A properly maintained cork floor may last for forty years or even more. • Safe: In incidences of fire, the cork will only melt. It will light only at very high temperatures. Cork produces smoke and discharges very minimal poisonous substances than vinyl flooring. • Comfortable: A cork floor renders a comfortable “cushion effect” when pressed. In addition, cork is a natural thermal and acoustic insulator. Rooms with cork flooring are naturally warm and quiet. • Vulnerable to damage: Cork is not the perfect material if you are looking for a completely pristine floor. Although it has a nice feel on bare feet, the flooring is easy to damage. Any sharp objects dropped can pierce the floor. Heavy appliance may gradually sink into the cork. Dog and cat nail scratches may also damage the cork. This may show up almost immediately. • Water can be a problem: If a room with the cork flooring gets flooded, the cork may bend out and discolour. High water vapour may also make the cork to curve. This makes the tiles to bulge out. • Affected by sunlight: The flooring may be discoloured if direct sunlight is allowed into the room frequently. The exposed part of the flooring will appear to have a different hue compared to the rest of the flooring. This can be prevented by use of curtains or blinds. This refers to any product made from timber that is used for flooring. Some people may prefer installing real wood in their rooms. This is a well-known practice in Singapore. • Easy Installation: Hardwood floors are designed to ensure a regular and steady fit. • Easy to clean: Hardwood floors are very easy to clean since they do not pile up plenty of dirt or dust. Vacuuming, mopping and drying the floor may be performed weekly. • Variety: There is a wide variety of hardwood floor appearances based on your taste no matter how diverse or unique your preferences are. There are many colours, styles, stains and textures available for you to choose from. You can also choose from prefinished and unfinished hardwood floors. • Ageless quality: The hardwood floors still look gorgeous while other floors start to look worn out. In addition, they can be refinished rather than be replaced unlike other flooring materials like carpets. provides the best environment for allergic people and those with respiratory illnesses. • Not recommended for a full bath: It is advisable not to fit a bathroom with hardwood flooring since it is highly sensitive to water and has the ability to hold water which can make the flooring to buckle. • Noisy: This is due to the vibrations caused by the movements on the floor, for example, a woman’s heels. This mostly affects people in apartments. • Expensive: Compared to other flooring materials such as carpets, hardwood flooring is generally expensive. • Inexpensive: Cheaper to install and maintain compared to other flooring options such as hardwood flooring. • Variety: Vinyl flooring comes in a wide range of patterns and colours to match with your needs. • Susceptible to damage: Vinyl floors do not withstand a lot of weight. They can also be easily damaged by sharp objects. • Can be affected by sunlight: Exposure to sunlight and extreme temperatures can damage them. They are therefore not recommended for outdoor flooring. • Requires skilful installation: Vinyl tiles require an extremely smooth surface. For a successful installation, the subfloor should be composed of a well-sanded plywood. 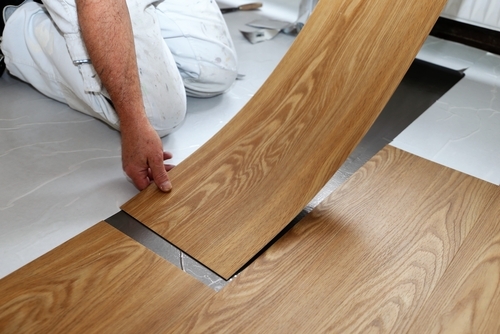 Laying the vinyl flooring on concrete may lead to problems due to uniformity and smoothness. Flooring materials are generally advantageous regardless of the drawbacks that come along with them. You, therefore, have to balance your taste, cost as well as other minor parameters such as pets in order to choose your best flooring material for your condo.